The ecology of the Western Hemisphere has been shaped by human intervention. Landscapes and wildlife have been helped, hindered, moved, lost, displaced, and replaced, including a native American cactus that nearly conquered Australia, the fantastic “sea unicorn” that became the narwhal, and the gone-but-not-forgotten Carolina parakeet. 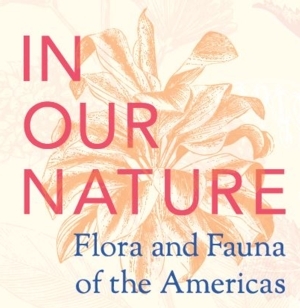 Six centuries of illustrations of the natural world, from Greenland to Tierra del Fuego, will demonstrate human attempts to profit from, understand, metaphorically transform, and celebrate both native and introduced species. Free and open to the public Monday through Saturday, 9:00 a.m. - 5:00 p.m.